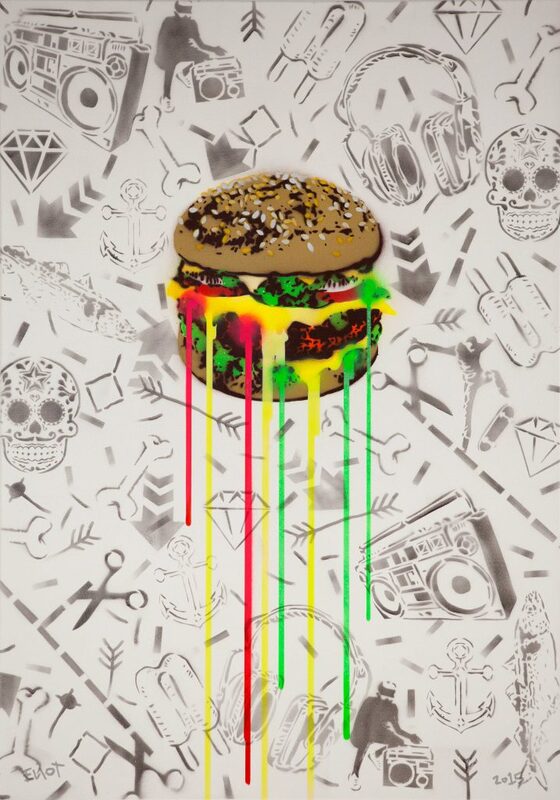 A Variation of my Burger motive, collaged with different stencils. 100 x 70 cm canvas. The stencil collage breaks up the well planned stencil of the burger and brings more “spontanious action” to the piece.